Today has been a day of hair even though I am mad stressed about Azelias 1year party that is coming up. I realized that it was time to share a little hair care with you guys and some of you have been asking me about what products I use. I am NOT a product junkie and I believe in trying a product for a long time unless it really has a bad effect on your hair. I usually don't continue with products that make my hair dry or feel hard etc. But everything else I let time fly by. With that said, I seriously have a product that I have to share with you like NOW even though I've only used it twice. It is from Tresemme. I have been using their big bottle of moisturizing (hydration) conditoner for maybe 5 months now and it has been doing wonders on my hair. I love it because it is a BIG bottle and It gives me a lot of moisture. So after being very happy with that product I decided about a week ago to try a deeper conditioner and guys THIS IS THE BOMB! I Thought that the moisturizing conditioner was great stuff but this is even better. The name of the product is breakage defencee masque. Since it is hot outside I try to do cowashes as often as I can now because I can notice that my hair is dry child. 2. Put in the masque all over, worked it in ever section, curl and corner. 3. Let it set for about 30min. I took a shower with Azelia so we hung out etc. 4. Take a wide tooth comb and start from bottom and comb through every section. 5. Rinse out section by section and then twist if you want it stretched out or just leave like that. 6. Air dry or use a tshirt. So today after my masque I decided to blow out my hair, which I haven't done since last year and a half I think. I am blow drying my hair to make the weekend events much easier and look extra pretty. 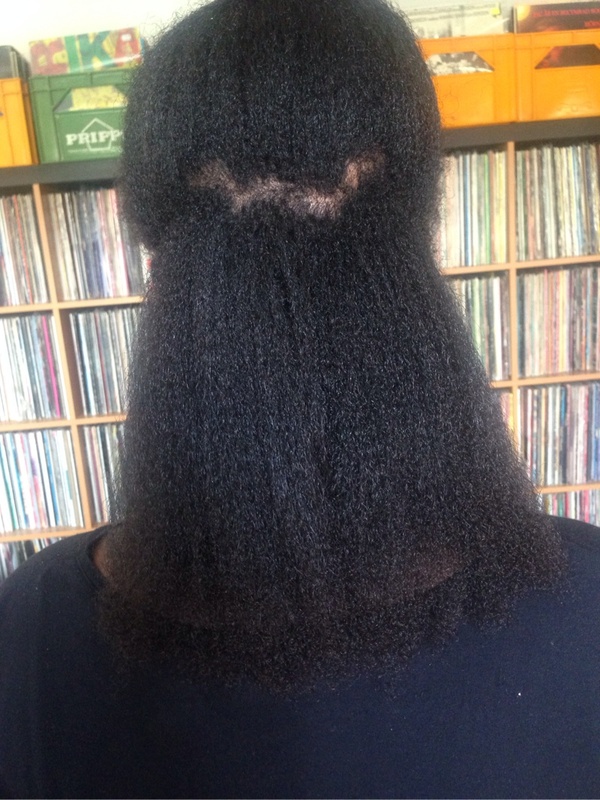 Otherwise I am natural all year around to prevent breakage. 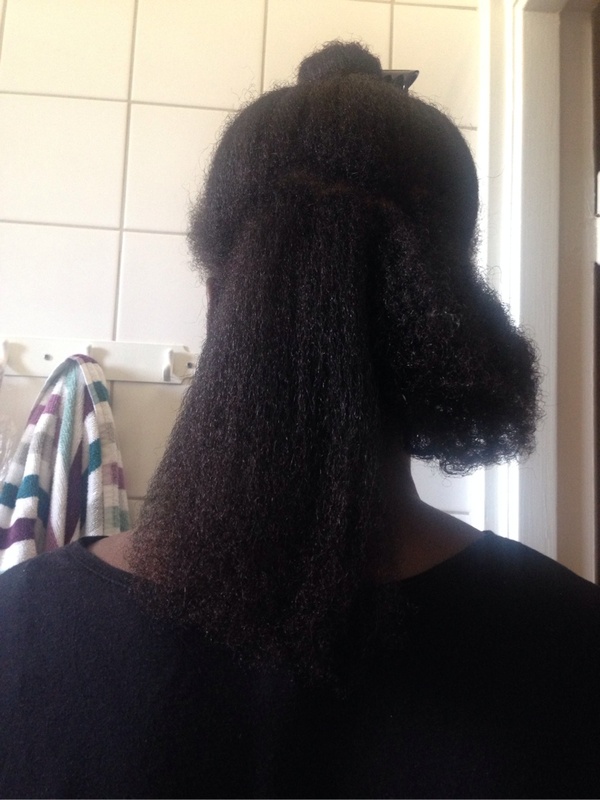 I was so excited to see my growth and I wanted to show you that every single day I deal with the hair I have on the right (shorter) and can't handle the kinks somettimes hahah but in reality the hair on the left is my real length which means I'm doing exactly what I'm suppose to do! So DONT GIVE UP and things aren't won't they seem to be with Afro haha! OWN it! Here is my new baby haha! HURRY UP AND BUY IT GIRL!!!!! 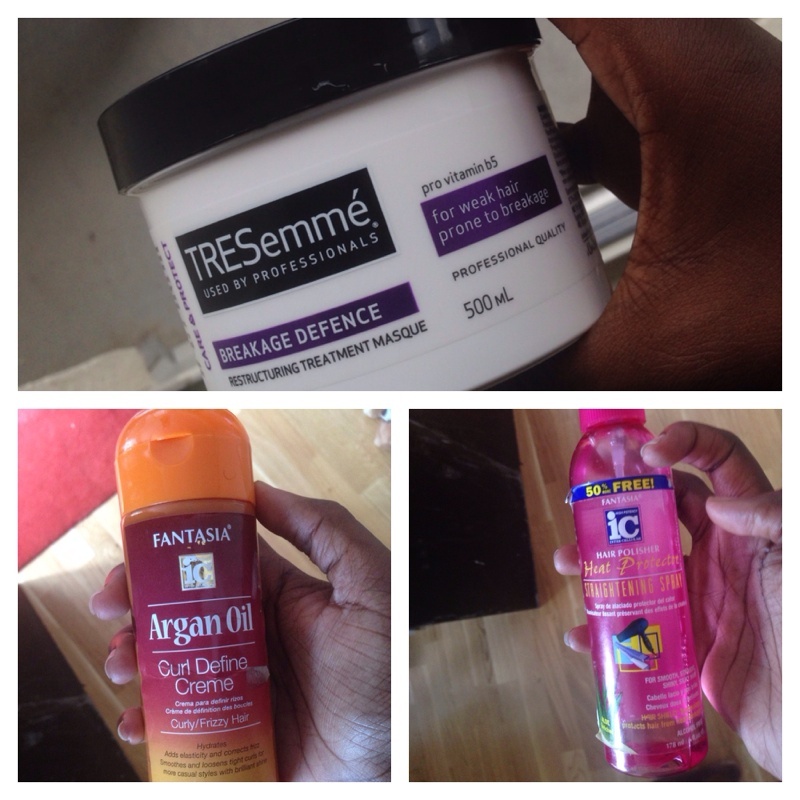 The other products I used to protect my hair whiles blowing it out but also to keep my hair soft! Here is a youtube video which let's you in on other great products from 2013 !